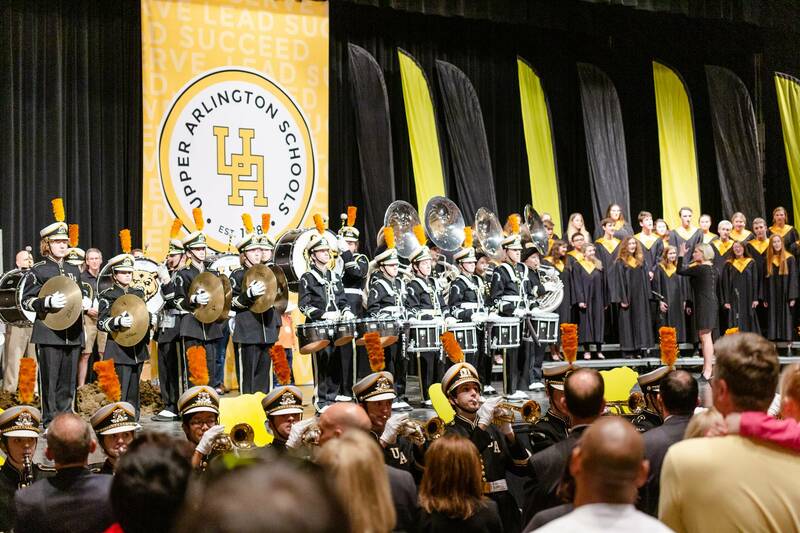 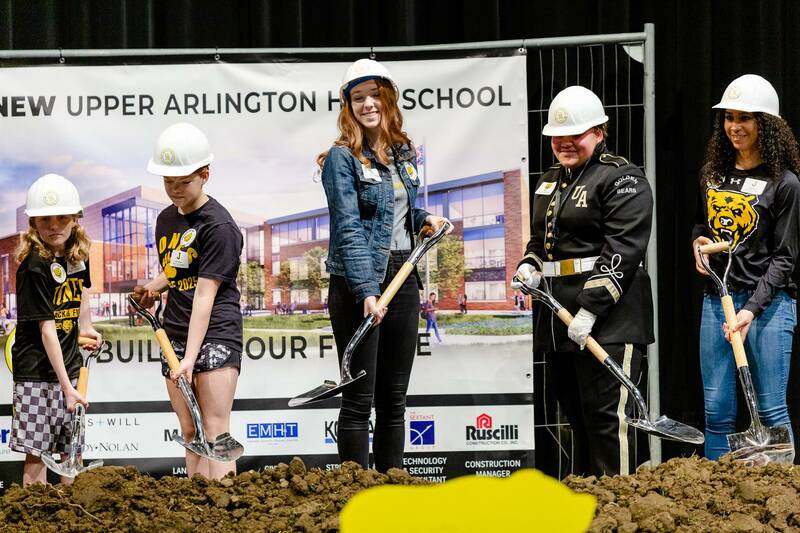 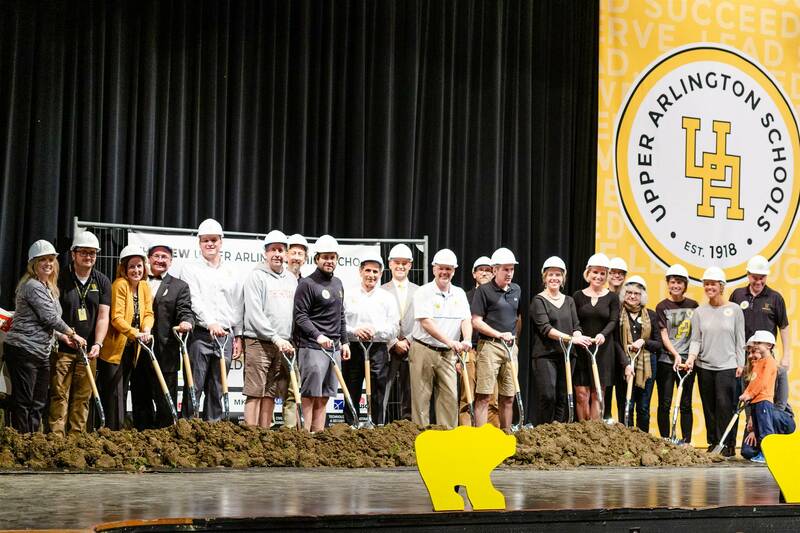 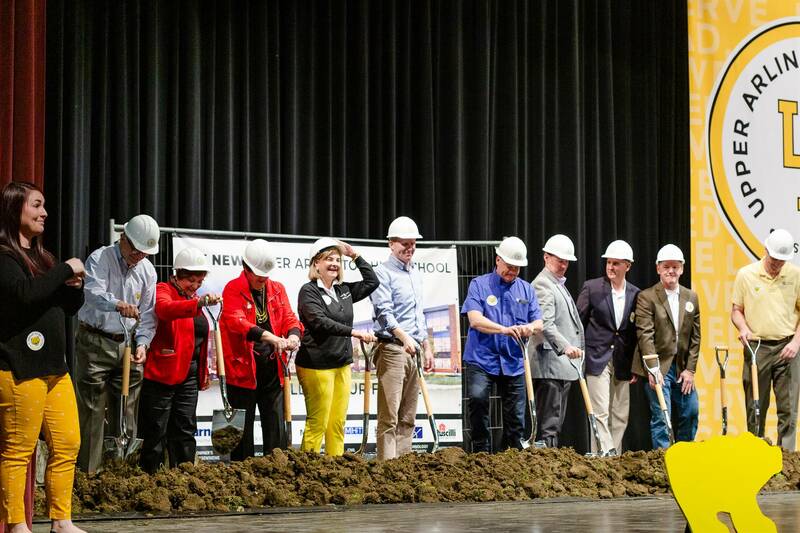 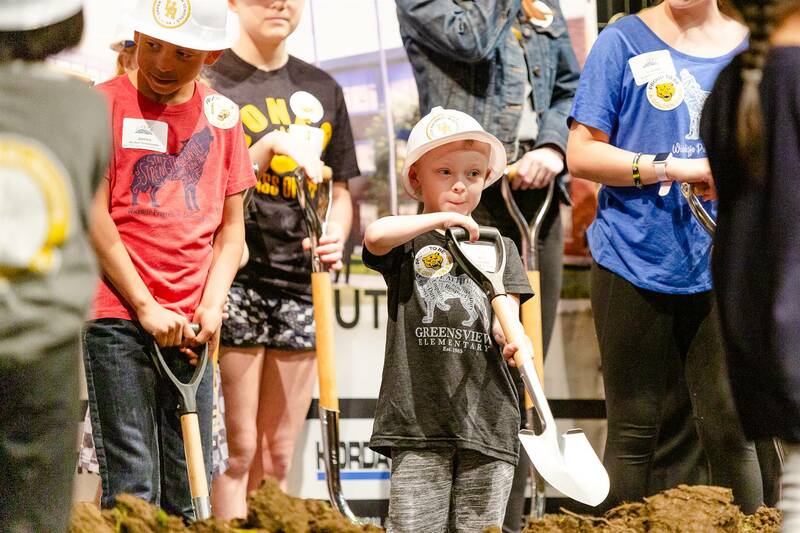 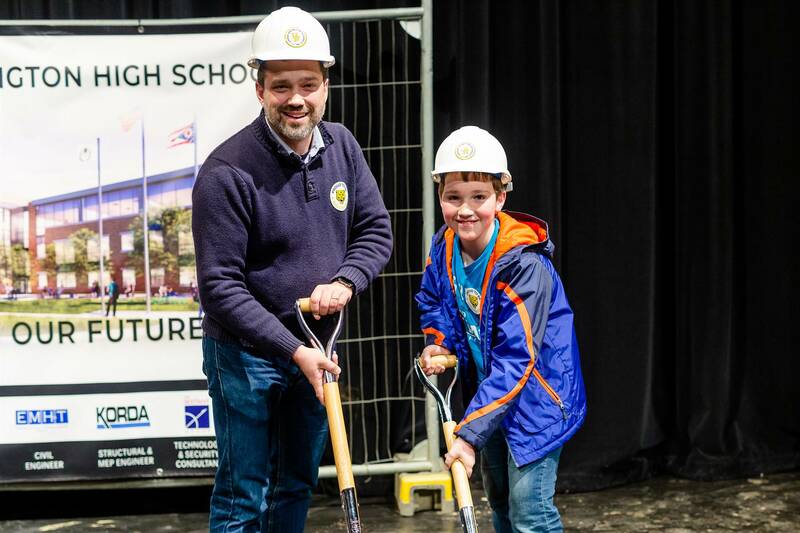 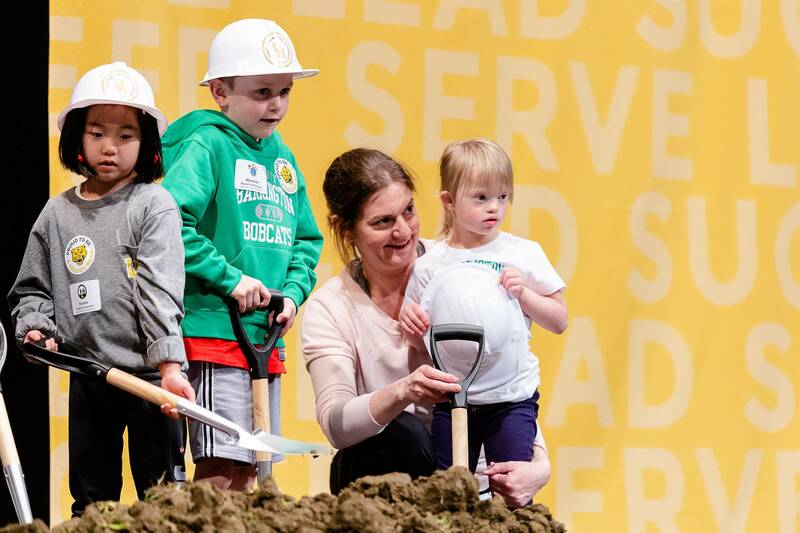 With a clear focus on “Building Our Future” as well as honoring and learning more from the past, Upper Arlington Schools celebrated the start of construction on the new Upper Arlington High School with a community groundbreaking ceremony on April 7. 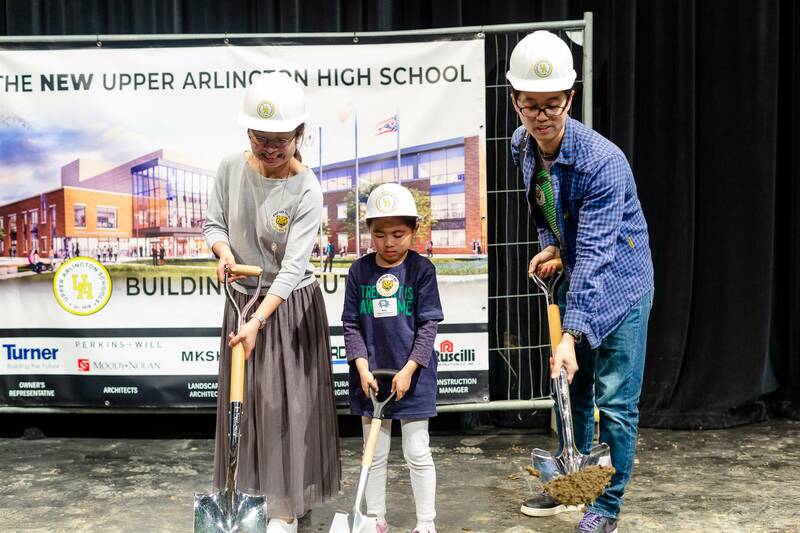 Hundreds of students, families and community members gathered for the ceremony signaling the community’s first momentous step toward implementing the first phase of the facilities master plan. 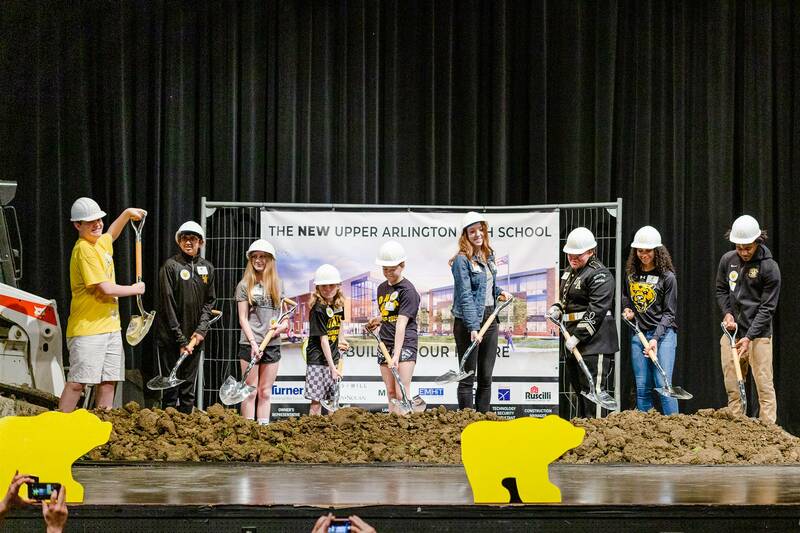 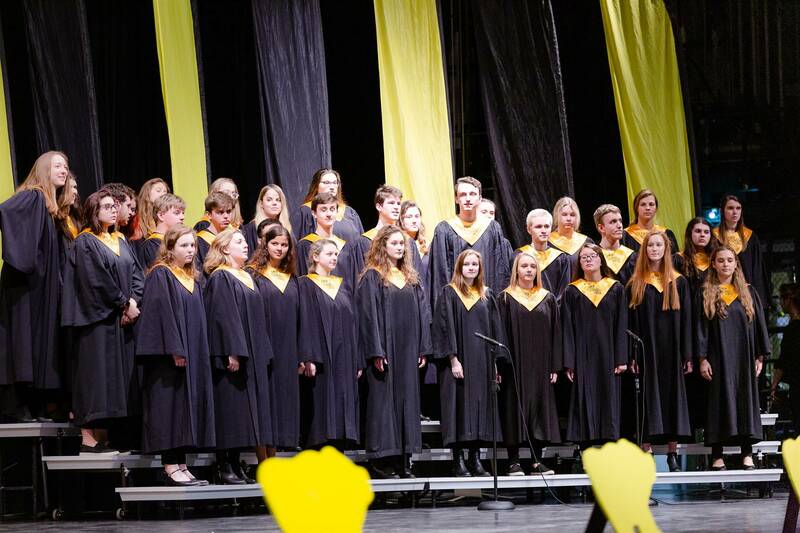 The ceremony was a true Golden Bear celebration — with performances by the Upper Arlington High School Marching Band, Choir and Symphony Strings, and plenty of opportunities after the ceremony for community members to have their own “groundbreaking” photo op. 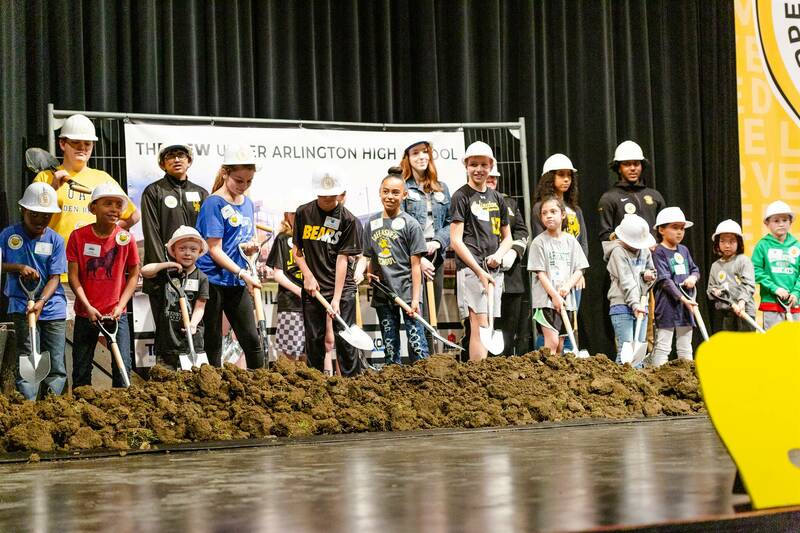 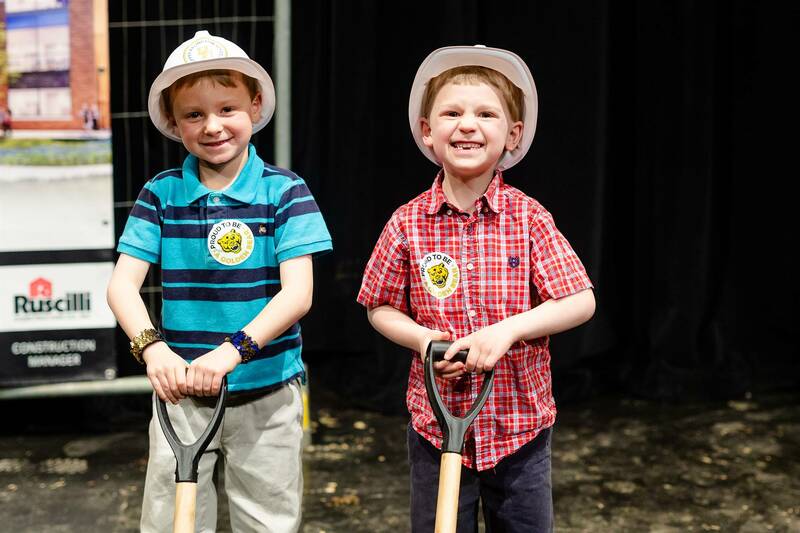 Student ambassadors representing all nine Upper Arlington schools — from Burbank Early Childhood School through the high school — kicked off the ceremonial groundbreakings by plunging the first shovels into the dirt on the stage of the auditorium, where the ceremony was moved due to inclement weather. 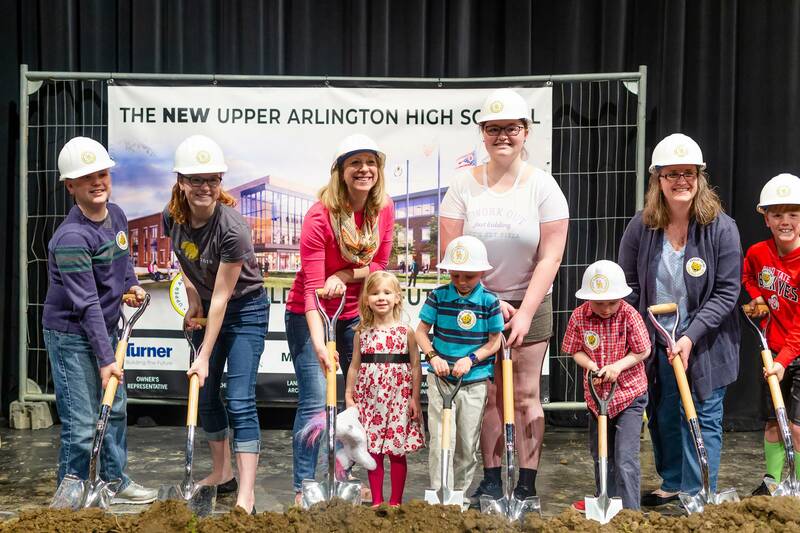 Following the students, the Upper Arlington Board of Education and many other community stakeholders and volunteers stepped forward to break ground. 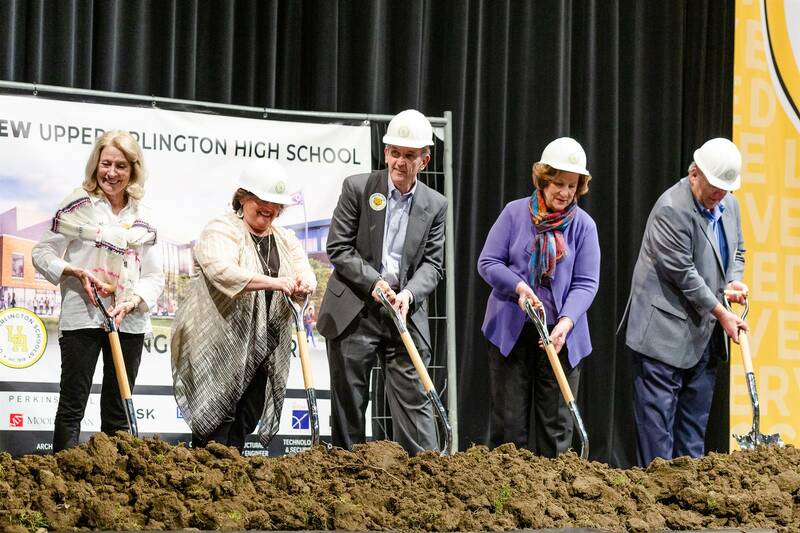 and Barrington, at 4:15 p.m.
Windermere’s groundbreaking ceremony will follow in the spring of 2020. 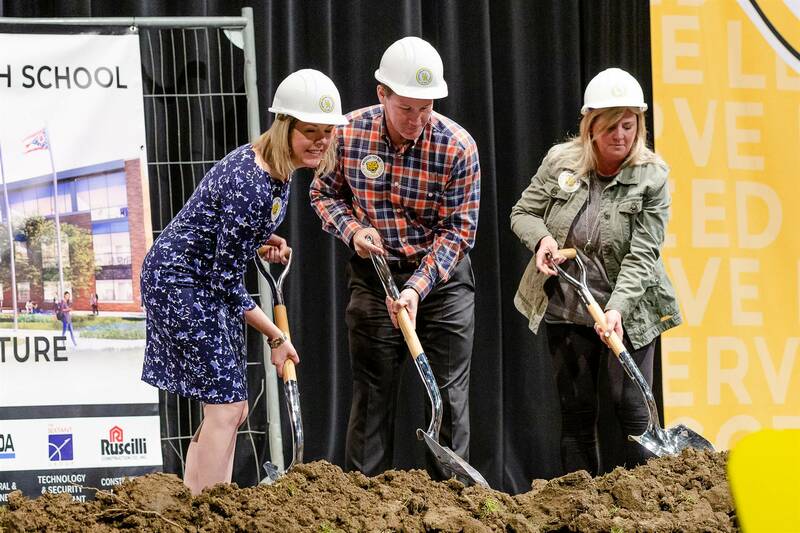 Ahead of the elementary groundbreaking ceremonies, construction fencing and equipment will begin appearing on the sites of Barrington, Greensview, Tremont and Wickliffe. 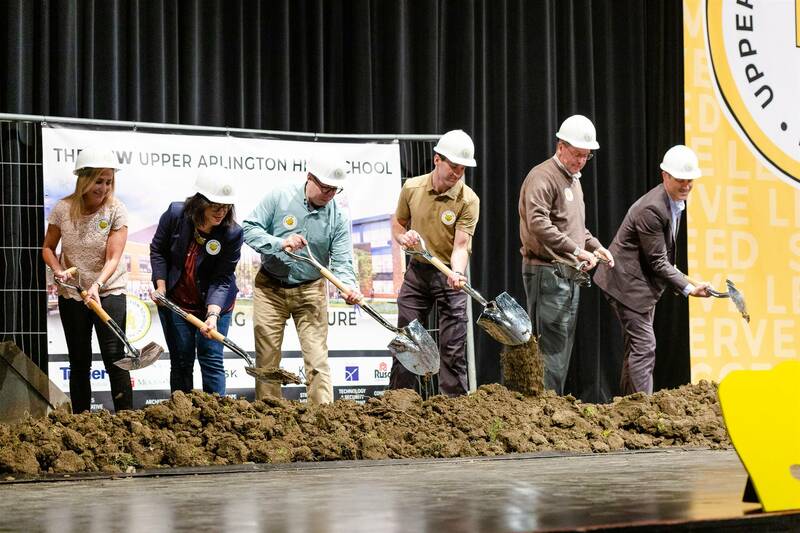 Modular classrooms have also arrived at Tremont in preparation for the 2019-2020 school year, when they will be used as transitional space during the renovation of existing learning spaces. 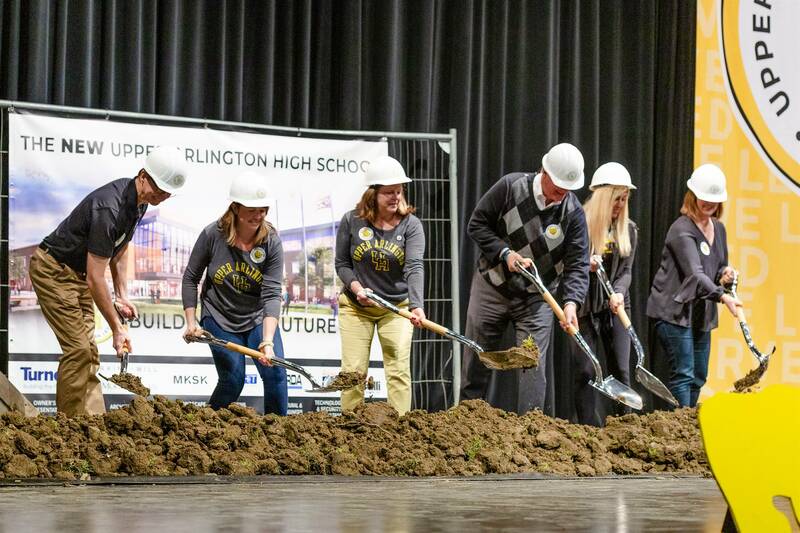 During the month of March, Ruscilli Construction Co. began the initial site prep and demolition work needed to clear the way for the start of construction on the new high school building and the stadium. 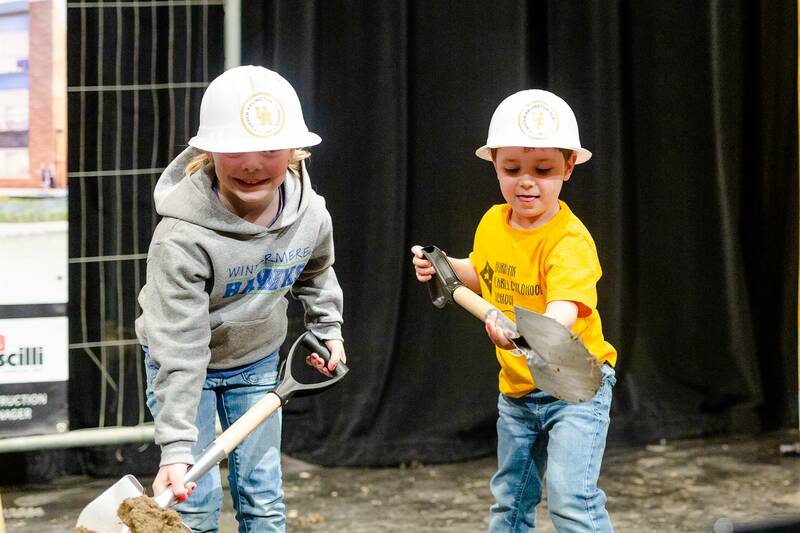 During the month of April, work is beginning to dig out the footprint for the building. 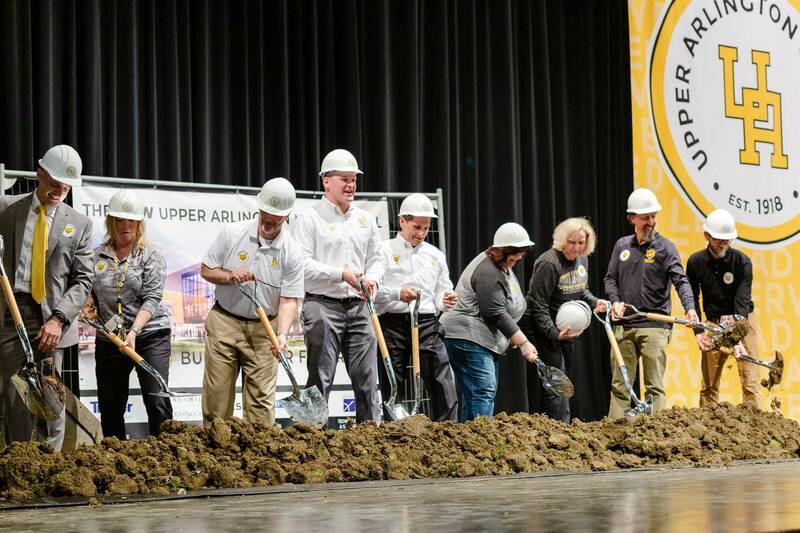 Footers and the foundation will follow, along with deep foundation work for spaces such as the natatorium. 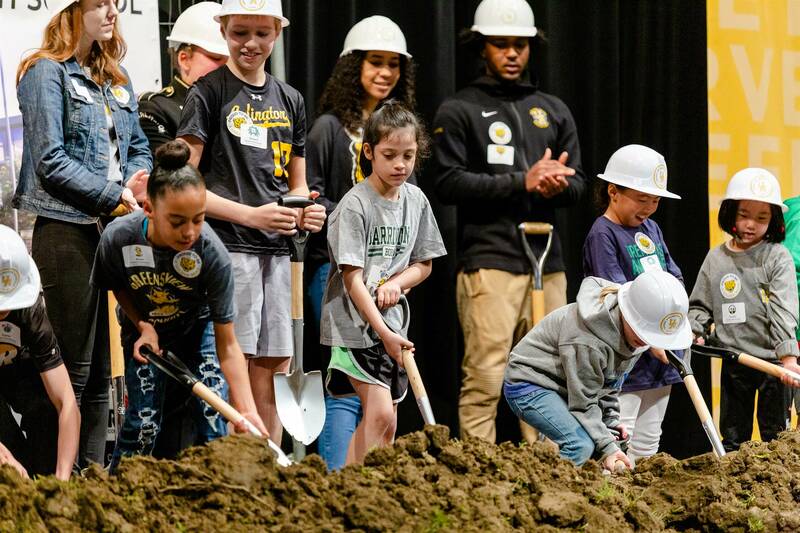 The new stadium will be the first piece of the project that will open, in the fall of 2019. 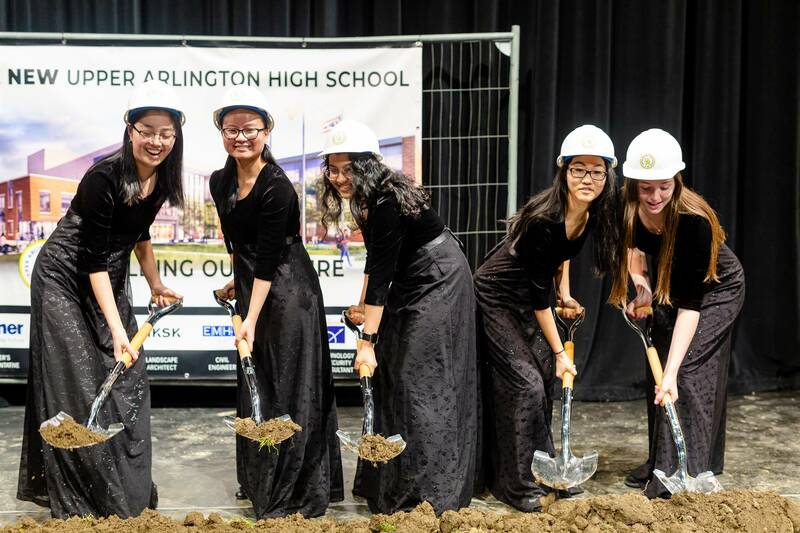 The new high school will open to students and the community in the fall of 2021, with the remainder of the site scheduled for completion in 2022. 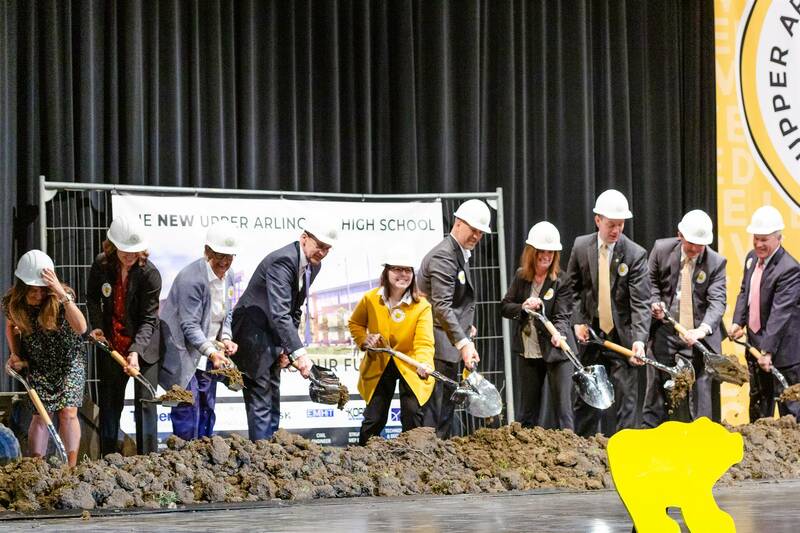 For information about the master plan construction phase, please visit www.uaschools.org/facilities.